We are the specialist team for recruitment in distressed, special situations, equity and debt. As a boutique consultancy, we provide a highly focussed and personalised service. We recruit at all levels from junior analysts through to senior portfolio managers or heads of business, and across all functions including research, trading, sales and sourcing. Hinton Rose was formed out of Morgan Hunt’s London head hunting organisation in 2009. We took a 9 year track record in the distressed markets from 2000, and continued to build upon it. Maintaining the same market focus has enabled us to deepen our knowledge and relationships even further within it. We are constantly building, renewing, and expanding our networks. It is our ability to listen and develop trust that gives us insight and provides the foundation for all that we do. Provided the circumstances fit, we are happy to work at either of the two levels defined below. However as searches are often unique and our clients’ requirements differ, we will often tailor our service combining elements of both retained and contingency, to produce a best of both worlds approach. For key strategic placements, a retained search is the most effective route. It provides one, clear, powerful message about how you intend to position yourself and underlines your commitment to hiring. A retained search enables an exclusive, dedicated service designed for successful completion. The methodology is thorough and systematic. The reporting process is tailored to the client’s requirements. For certain clients and particular hires a contingency search is a suitable option. Through this service relevant candidates are introduced on the basis of a limited search, and as and when they are identified. They are interviewed by us, thoroughly briefed and qualified for the role. A contingency search entails a level of consultancy without commitment to the final outcome. 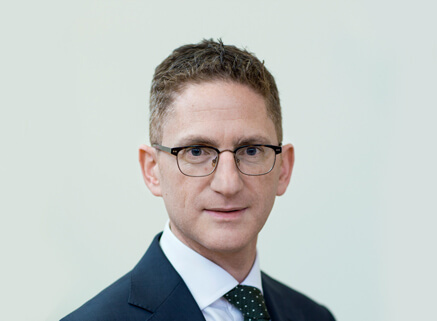 Jeremy has been working in financial sector executive search since 1998. He was previously responsible for running the London based headhunting business of Morgan Hunt, managing a team of 11 professionals. He set up and ran Morgan Hunt’s business in all their specialist areas within investment banks and hedge funds in the UK and Europe. Jeremy has a degree in business and psychology from the University of Leeds. Mark has been in financial recruitment since 1999. Previously he spearheaded the equity event driven business at Morgan Hunt over a period of six years. Prior to this he was at Napier Scott and at Sanderson Knight where he worked in Frankfurt and Madrid. In Madrid he was responsible for the setting up, running and management of the office. Mark has a degree in geography from the University of Wales.